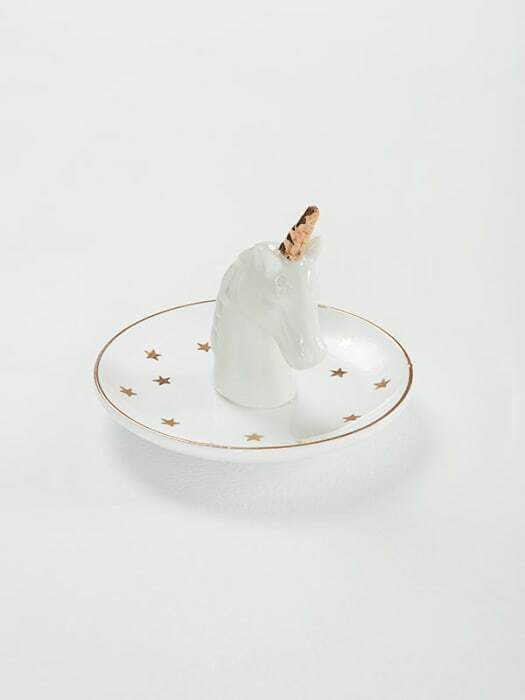 Ideal for dressing tables, this trinket dish comes in a unique design. 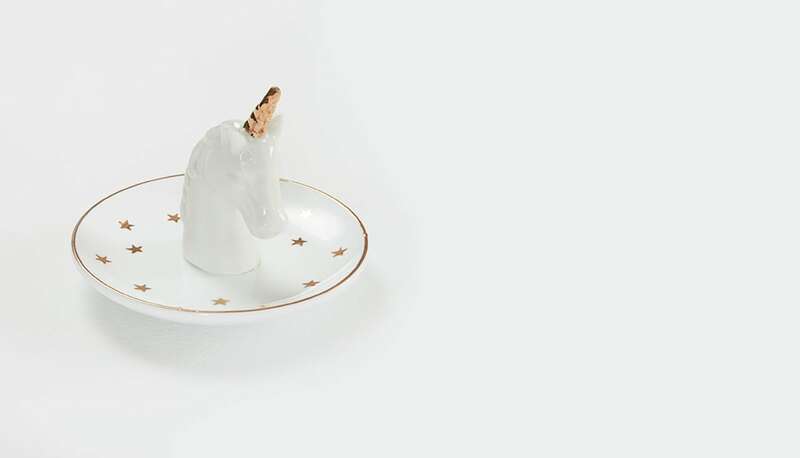 Made from ceramic, it features a unicorn's head and a dish with pretty stars scattered across it. 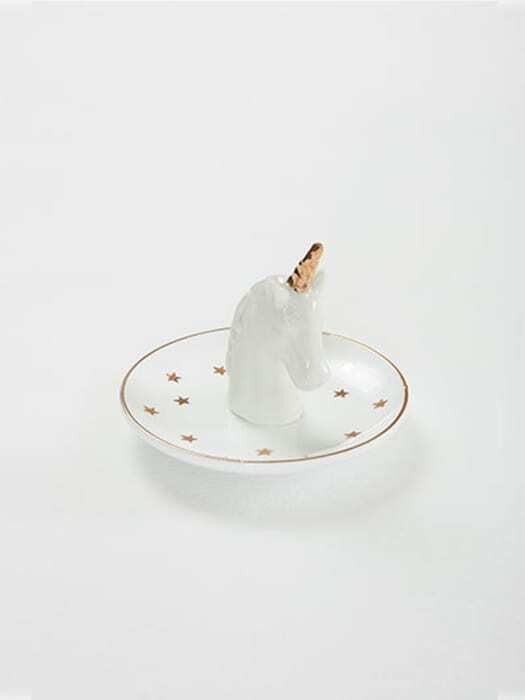 Using a simple gold and white colourway, this is a fun design that will look lovely in the home.